One of the impressive memories of youth is the men of the church bagging candy, nuts, and fruit to give to the children following the Children’s Christmas Program. Ours was a large congregation. My grade had 68 kids. Multiply that by ages from 3 to high school seniors, that is a lot of bags, a lot of candy, a lot of nuts, and a lot of fruit. It took some acreage to lay out the work. It took an organized effort of quite a few men. A project that size hardly could be done in secret or under the radar. Kids saw the preparations and work of the men. After the program, it was from the hand of the men that the kids received their treats. In no way is this to diminish the role of women. But the women usually do things for children without having to be specially prodded to do it. Seemingly, these days, men lack the self-starting attribute to do these kindnesses that help Christmas show that our Savior really has come. But that has been true in the past, too. In fact, one of the reasons God sent John the Baptist was to change that. And he will turn many of the children of Israel to the Lord their God. He will also go before Him in the spirit and power of Elijah, ‘to turn the hearts of the fathers to the children,’ and the disobedient to the wisdom of the just, to make ready a people prepared for the Lord. The Lord turns the hearts of the fathers to the children. Men, we all can be like John the Baptist, preparing the way of the Lord. Let’s turn our hearts to the children. There are many, simple, low-effort ways to have a major impact. Get a book of Advent and Christmas stories and read one a day to children. That’s it. Just read it. Nothing more to it. But believe that, not because of you or any talent you would have to acquire, but because of the content of the stories, that would leave a mark for the better. 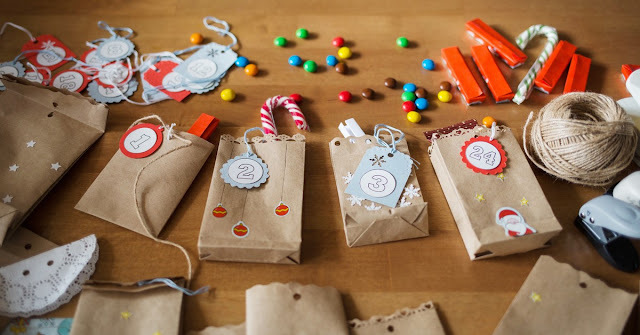 Bag candy for children. Give candy to children in the Name of the Lord. Children already know – no one has to tell them – that the world is agonizing in sin. When you do such a kindness and by it point to Christ, they will know it came from Christ through you. Kids get things that are hard for adults, but easy for them. Do an easy Christmas kindness, and give a kid a chance to get an easy Christmas message, that you, a man, have a heart from Christ for the children, a sign that Jesus loves them.